In our previous post, we detailed decorations for a do-it-yourself Halloween themed mantle. To keep up the holiday spirit this fall, we’re going to keep it going, Halloween DIY style! Today we’re showcasing a “spook-tacular” DIY project for your Halloween décor. 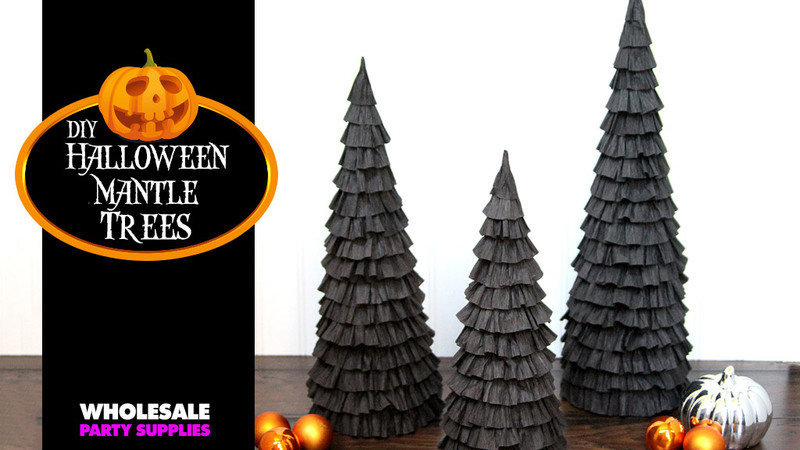 We love to incorporate party supplies into our holiday decorating and these two creations do that “boo-tifully.” Ruffled crepe paper streamers transform ordinary die cut shapes and paper maché cones into unique Halloween pieces. This Ruffled Tree Trio basically uses the same ruffling process as the boo banner. Pre-printed die cut circles are the perfect base for ruffled edges and a glue stick is all you need to adhere the crepe paper down. The ruffling process is not complicated. First, apply glue along the edge of a small section of the circle. Next, place streamer onto glue and while moving around edge use a combination of scrunching and gathering to create the desired ruffle effect. TIP: periodically turn circle over and check for ruffle length evenness. Again, a glue stick is all you need to adhere the crepe paper to the cone. If the local craft store does not carry paper maché cones construct them with semi-circles of poster board. For a how-to tutorial, go here. 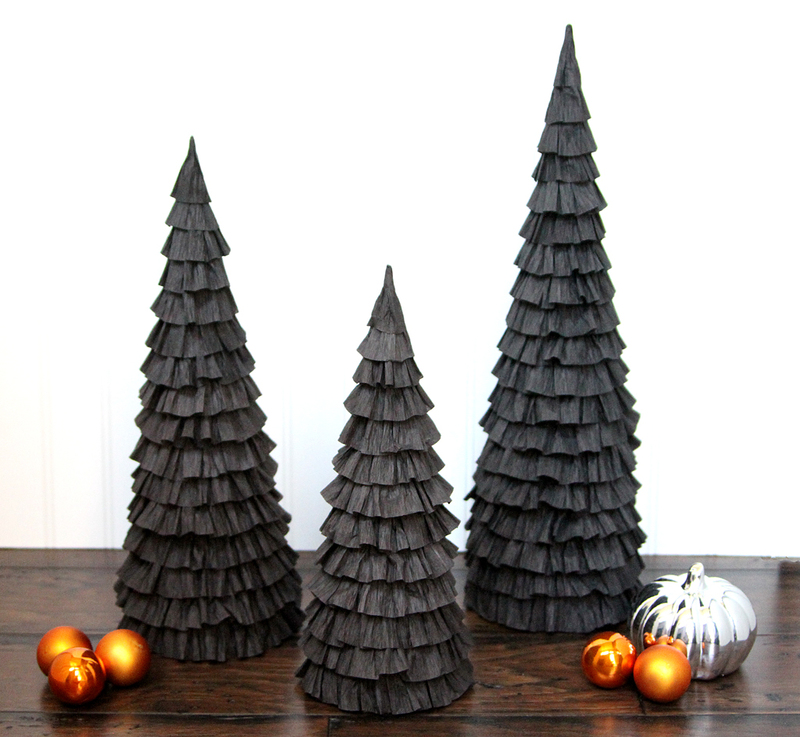 Begin each tree by gluing a length of streamer cut in half to the bottom edge of the cone. This strip keeps the brown paper maché from peeking through the lowest ruffle. Next, make a pencil mark every 7/8” towards the top of the cone. Rotate the cone a quarter turn and repeat this process until there are four sets of marks running up the cone. Using the same scrunch and gather method from the banner, cover the cone with layers of ruffles making sure to keep ruffle rings straight by matching corresponding pencil marks. Be sure to look at how we used these decor pieces to decorate a Halloween themed fireplace mantle and for all your Halloween party, costume and décor needs. Show us your cool and boo-tiful pics with us on Facebook, Twitter, and Instagram! 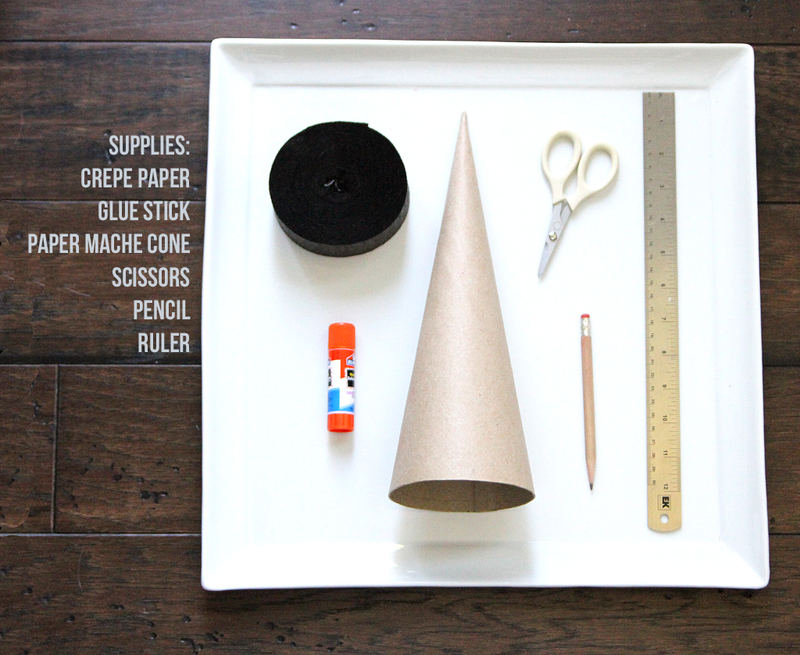 Share this mantle craft on Pinterest! 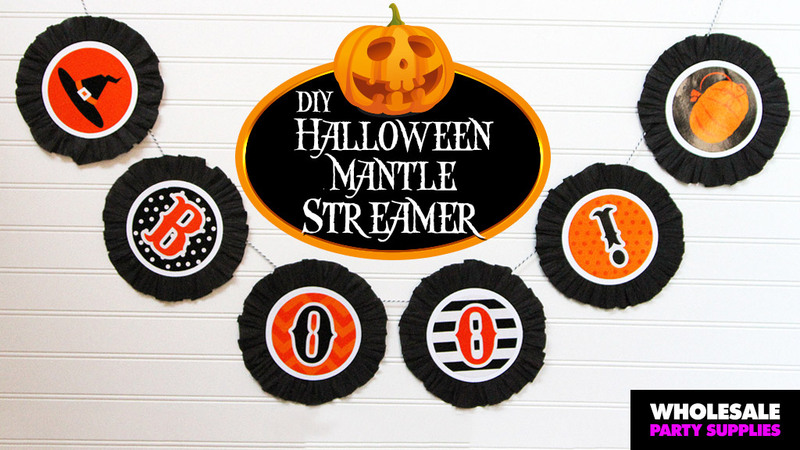 DIY Halloween Boo Banner Craft!